On D24, 9km. north east of Brignoles (N7 and A8) heading towards Lake of Carces. This little village surrounded by hills and vineyards has its own castle built in 1543 which overlooks the valley of Caramy. 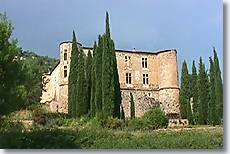 This castle, once the property of the Counts of Provence, is presently being restored. 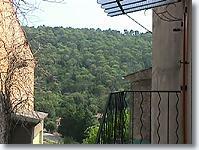 In summer it hosts a music academy, and there are also concerts and music courses, both instrumental and singing. Ruins of the Ste Suzanne fort. Roman bridge with three arches. Hiking, Mountain biking. Music courses. 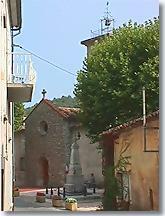 Le Val (6 km), Cabasse (10 km) and Carcès (11 km).